The Hg80 Knee Brace with spring steal stays provides support for achy knees without hampering flexibility. The Mueller Hg80 Knee Brace features steel springs to support both sides of the knee while allowing unrestricted leg flexion and extension. You get the support you need for sore knees without hampering your flexibility. The Tibial Containment system and upper/lower strapping help keep the brace locked in the correct position. The fabric's bi-directional stretch is form fitting for comfort and a great fit. Hydracinn fabric with anti-microbial barrier wicks perspiration away from the skin while keeping you cool and dry. Helps support stiff, sore or unstable knees. Designed for comfort and support. Upper and lower strapping locks brace in position. Bidirectional stretch material is form fitting. 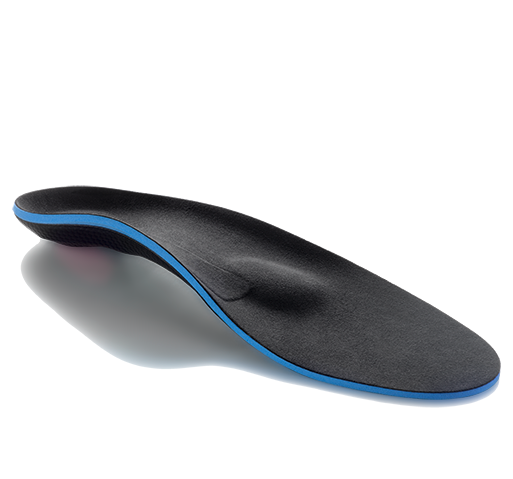 Offers superior support without slipping. Tibial Containment System: custom secondary shell with a stabilizing patella buttress and rear support strap enhance support. Anti-slip, silicone inner grip strips prevent brace migration. Moisture-wicking Hydracinn® with an antimicrobial barrier. 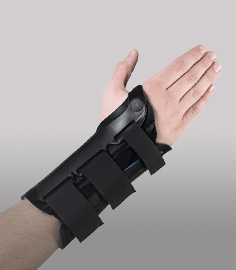 Steel spring stays provide moderate medial and lateral support. Mesh laundry bag included for easier laundering. Four sizes: Small, Medium, Large, XLarge - See sizing chart tab above for measurement instructions. Mild knee strains and sprains. 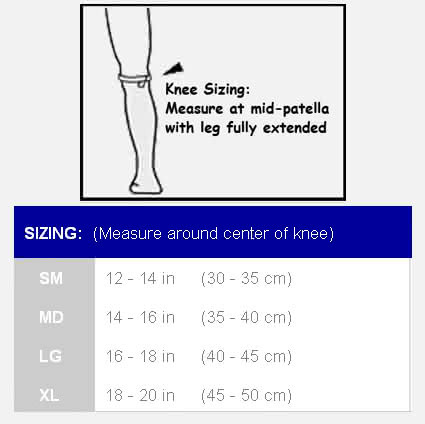 Sizing Chart: Measure around the center of the knee. Slide brace on into position. Position the kneecap just above buttress. Secure the upper and lower straps for a precise fit. I have my owned many knee braces. But I always find myself back using this brace. It's fit and function is flawless. I just had ACL surgery and I'm using this old brace until my custom brace comes in. The custom brace has big shoes to fill. I will be ordering a new one of these for backup. 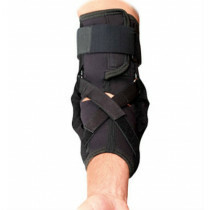 The brace provides good support around my kneecap and has an easy fitting style. Best of all it's not made out of neoprene that used to irritate my skin. I throw my into the laundry and can wash it whenever it turns sticky on me.